Sagle, Idaho - 2016-10-01 - 9:00PM: I was inside my house, which was just outside of Boise, reading a book when I heard a roaring sound overhead. I went outside to check and saw this bright, white ship that was about 120 feet wide with reddish-orange lights - all of which were extremely bright and flashed in a sequence. It was just floating there, I thought the sound was a thunderclap, but I guess I was wrong. It landed about 80 feet away from me, and I saw a door open, and humanoid aliens stepped out of the ship. When the aliens saw me, they came towards me. I tried to escape, but they ended up being too fast for me to outrun them. They must have knocked me out, because I woke up naked, strapped to some sort of examination table, which had a lot of sharp devices around it. One of the aliens came up to the table and picked up what looked like a syringe with a very large needle. The alien stuck the needle in my right thigh, and that was when everything became a blur... 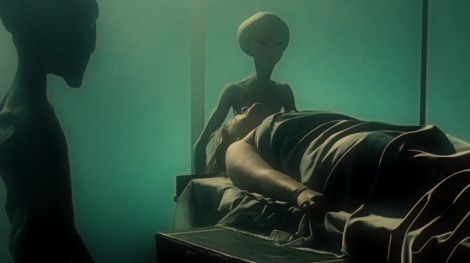 The alien was doing some sort of full-body examination, but when he was done, he knocked me out again. A screenshot taken from a video uploaded by YouTube user steve jones purportedly showing a "dead mermaid" on the beach at Great Yarmouth. A man has claimed in a Facebook post to have found what he describes as a “dead mermaid” on the beach at Great Yarmouth. Paul Jones posted a photograph purportedly taken at Great Yarmouth which has been shared 15,000 times on the social media website in two days. Facebook users have been excited and horrified in equal numbers. Creepy clowns have dominated news headlines over the last few months, with reports from people feeling threatened or just plain creeped out in at least 32 states. Claims have ranged from kids saying clowns were trying to lure them into the woods, to people seeing them lurking on running trails. Some reports have been confirmed as hoaxes, but others come with photo proof. These news headlines are creating profit for many Halloween retailers across the country. Halloween sales already add up to an estimated $7 billion in the U.S. each year; and it now appears a big part of that number will come from clown costumes. “Clown mask sales are up more than [300%] from a year ago the same period online,” Brad Butler of national Halloween costume chain Halloween Express told Eye Opener TV Tuesday. “In the top 10, eight of them are ‘evil’ clown masks this season whereas last year, five of the top 10 were ‘evil,’” Butler added. Eye Opener TV also reached out to national Halloween pop-up store chain Spirit Halloween. They declined to comment on their sales, strangely citing a policy not to comment on ongoing police investigations. Wal-Mart and Party City didn’t immediately respond to requests for preliminary sales data. With all these sightings and reports of children feeling threatened, we asked former prosecutor, licensed peace officer and defense attorney Pete Schulte if law enforcement or stores should keep track of sales of clown costumes. “[The costumes] aren’t illegal. Even what they’re doing with the costumes is not against the law,” Schulte said. PITTSBURGH (KDKA) – A massive fireball lit up the skies across parts of the East Coast and Canada Tuesday night, leading many to panic over fears of a plane crash. Phones lit up at police offices and newsrooms across the East Coast with many in Pennsylvania, Massachusetts, New Jersey, New York, and even Canada reporting the meteor. 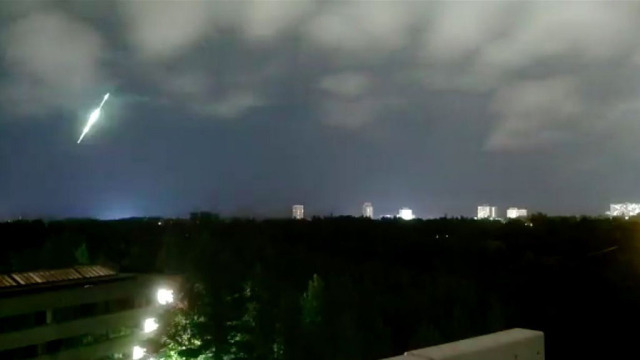 A camera at the University of Toronto Scarborough Observatory captured the fire ball on video.